UPDATED FOR 2019! 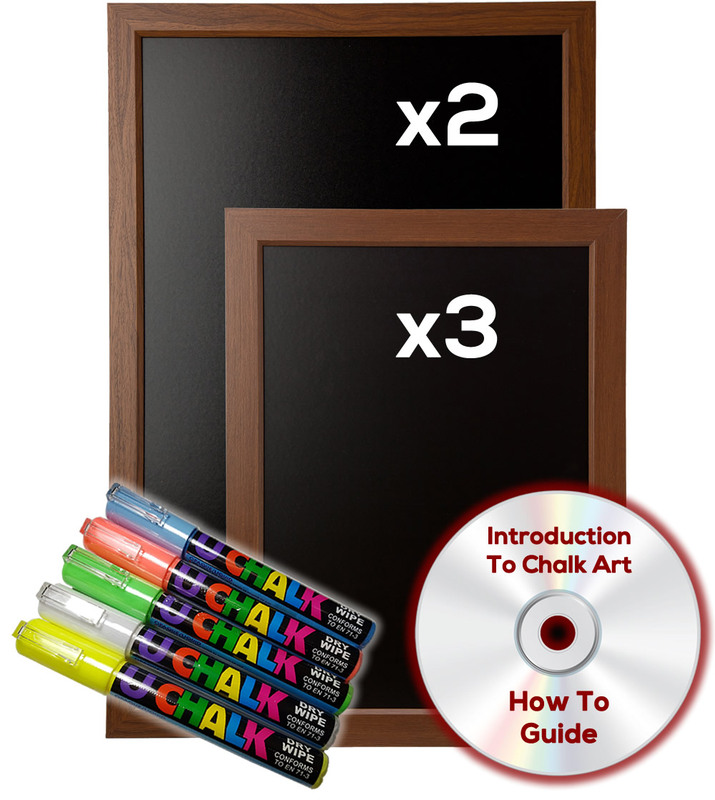 This fantastic value pack includes two large and three smaller oak effect wall mountable chalkboards, a pack of 5 drywipe chalk pens and a How to Chalk Art DVD. The boards are made from easy to clean melamine which is ideal for drywipe pens and wipes off easily with a cloth. You can also use non wax based stick chalk or wet wipe chalk pens. Chalk art 'how to' DVD worth £9.95!